The FDA has granted a priority review to a new drug application (NDA) for selinexor for the treatment of patients with penta-refractory multiple myeloma, according to Karyopharm Therapeutics, the manufacturer of the XPO1 inhibitor. Sundar Jagannath, MD, director of the Multiple Myeloma Program and professor of medicine at The Tisch Cancer Institute, Mount Sinai Health System, delivered the STORM findings at SOHO. He explained that patients who had a response to treatment, even a minor response, did significantly better, with a median OS of 15.6 months. Historically, the median OS in this patient population is an estimated 3.6 months. Under the Prescription Drug User-Fee Act, the FDA is scheduled to make a decision on the NDA by April 6, 2019. 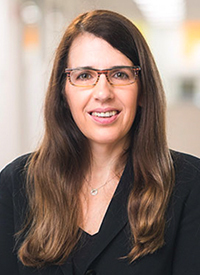 "As a potential new therapy with a novel mechanism and compelling clinical profile, we believe oral selinexor, if approved, will provide a meaningful therapeutic option for patients battling highly resistant, penta-refractory myeloma," Sharon Shacham, PhD, MBA, founder, president and chief scientific officer of Karyopharm, said in a statement. "The acceptance of this NDA for review and grant of Priority Review mark significant milestones for the selinexor program, and further underscores the high level of unmet need in this patient population. We look forward to working with the FDA during the review process." The STORM trial included 122 patients with penta-refractory multiple myeloma at 38 sites in the United States; 85 patients were treated per-protocol. The median patient age was 65 years (range, 40-85). Eligible patients had to have received prior treatment with bortezomib, carfilzomib, lenalidomide, pomalidomide, daratumumab, an alkylator, and glucocorticoids. Patients had undergone a median of 7 prior treatments (range, 3-18), and all were refractory to proteasome inhibitor/immunomodulatory drugs/ daratumumab/glucocorticoid. Ninety-six percent were refractory to carfilzomib/pomalidomide/daratumumab. Eighty-four percent had undergone stem cell transplant, and 28% had undergone ≥2 transplants. Patients received 80 mg of oral selinexor plus 20 mg of oral dexamethasone twice weekly until progression. The primary endpoint was ORR. Two patients, both of whom were negative for minimal residual disease, achieved stringent complete response. Two patients who relapsed following chimeric antigen receptor T-cell therapy achieved a partial response. The median progression-free survival (PFS) was 3.7 months for the entire cohort. For partial responders, the median PFS was 5.3 months, and 4.6 months for those who had at least minimal response. Duration of response was 4.4 months (range, <1-12.2). Jagannath said responses typically occurred in the first 4 weeks of treatment. The clinical benefit rate was 39.3% and the disease control rate was 78.7%. “If you’re able to arrest the growth of the tumor, you’re able to get a survival benefit for these patients,” Jagannath said. The most common grade 3/4 treatment-related hematological adverse event (AE) was thrombocytopenia (53.7%), followed by anemia (29.3%), neutropenia (17.9%), leukopenia (13.8%), and lymphopenia (8.9%). There was only 1 instance of grade 4 anemia and no grade 4 leukopenias recorded. There were no grade 4 non-hematological AEs observed. The most common grade 3 non-hematological AEs were fatigue/asthenia (22.8%), hyponatremia (16.3%), and nausea (9.8%). Selinexor links to and inhibits XPO1 (CRM1), a nuclear export protein. There is an accumulation of tumor suppressor proteins in the cell nucleus as a result of this activity, and, subsequently, the cell’s tumor suppressor function is regained and amplified, which investigators hypothesize induces apoptosis. Karyopharm Completes Rolling Submission of New Drug Application to U.S. Food and Drug Administration for Selinexor as a Treatment for Patients with Penta-Refractory Multiple Myeloma. Published August 6, 2018. Accessed October 6, 2018. https://bit.ly/2zVwIfi.